Buy low, sell high is the oldest business adage in the world. In commerce today, where drop shipping dominates and online has replaced brick and mortar, this adage has become an absolute. Wholesale businesses have emerged as dominant suppliers for other companies. Wholesale businesses have changed with the times, and it turns out that the best reason to buy wholesale these days isn’t just because of the price point, but because of new business practices that have rocketed wholesale into the 21st century. Wholesale distributors are more specialized, more responsive, and more communicative than ever before. Wholesalers were at one time notorious for shipping products of questionable quality. Any boutique business worth their salt would shy away from those purchases. After all, why stuff your inventory with the same shirts your customers can find at a big-box store? Wholesalers today, though, are breaking out of that mold and jumping on the upcycling trend. By package and reselling used and vintage goods wholesale, a business like Sapu Upcycle has created a vital supply chain for creative companies looking to develop and sell unique products from used parts. Furthermore, it was, at one time, difficult to find niche wholesalers, people who carried products that were out of the ordinary. Today, though, there are more niche wholesalers than ever, and many are able to deliver wholesale products to tailored specifications. Anything from a custom vitamin manufacturer to a specialist in Swahili homegoods is just a click away. Getting a license to buy wholesale isn’t easy. When you push all the paperwork through and become a buyer, you want to be treated as well as you would treat your own customers, right? Unfortunately, many wholesalers get a bad rap when it comes to customer service. The experience of retail shopping online has made the customer experience frictionless, but wholesalers can still be tough to reach, tough to buy from, and uncommunicative. However, the transparency of online experiences has forced wholesalers to up their game, with business-to-business platforms such as Handshake advising wholesalers to “give retailers a modern experience that they recognize from their consumer life” and “give retailers the option of placing an order on their own time.” This type of thinking has helped wholesalers bring the customer experience into the modern age, without sacrificing any of the benefits of wholesale business practices. Wholesale businesses have also adapted to serve companies by becoming more transparent, often in subtle ways. By making these adaptations, your company would have more access to better information about a wholesaler than ever before. For example, Direct Liquidation, a company offering Target wholesale, includes a statistical breakdown of every product in the pallet. Online customer reviews are ubiquitous in today’s world. Often, though, they are created by and for retail customers, and reviews for businesses buying from other business have not been quite as common. Wholesalers are try to improve customer experience, though. 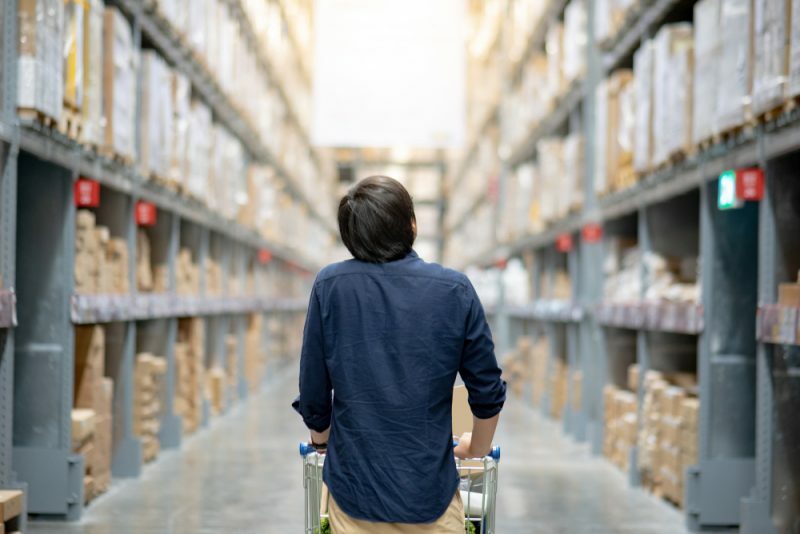 According to Digital Commerce 360, the wholesale business sector is putting practices in place to make it easier for companies to comprehend their products, review wholesalers, make those reviews more useful to other customers. Because businesses need more information than retail consumers, these practices were focused on improving the experience of businesses using their sites. For example, a menu of questions in reviews is aimed specifically at business concerns. One example the article suggested, “How would you quantify the [return on investment]?” That’s not useful a question for a busy mom, but it’s fantastic for a company.